"These cookies have been a Christmas family favorite for 20 years. Flaky and buttery, they are worth the effort. Almonds can be substituted for hazelnuts." Just like my Oma, I used walnuts instead of the hazelnuts. Always a wonderful Christmas tradition and incredibly delicious. Thanks Deb! 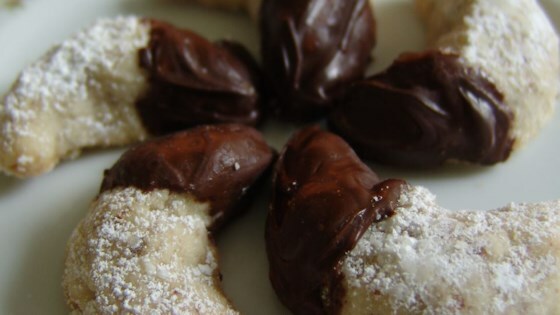 My mom always made those with almonds for xmas and tea parties and it was my fav cookie. she dipped the ends in choc and so do I.